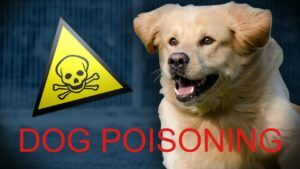 Dog Poisoning is a every day reality, Criminals see the dogs as an obstacle in their constant aim to rob people and houses. The Criminals do not care about our animals, They don`t care if it is your best friend, They simply want to eliminate them so that they can gain unnoticed entry to our properties. We urge any client or person in the Kempton Park Area, that finds their pets to be poisoned and still alive to contact us on 011 394 1880 or press your panic if you are a Alpha Client, We will dispatch a person to administer the Pet Poison intervention pack that will buy you time to get your pet to the Vet ASAP. If you have Pet Insurance we will ensure that we send the ambulance to transport your pet to the nearest emergency VET. 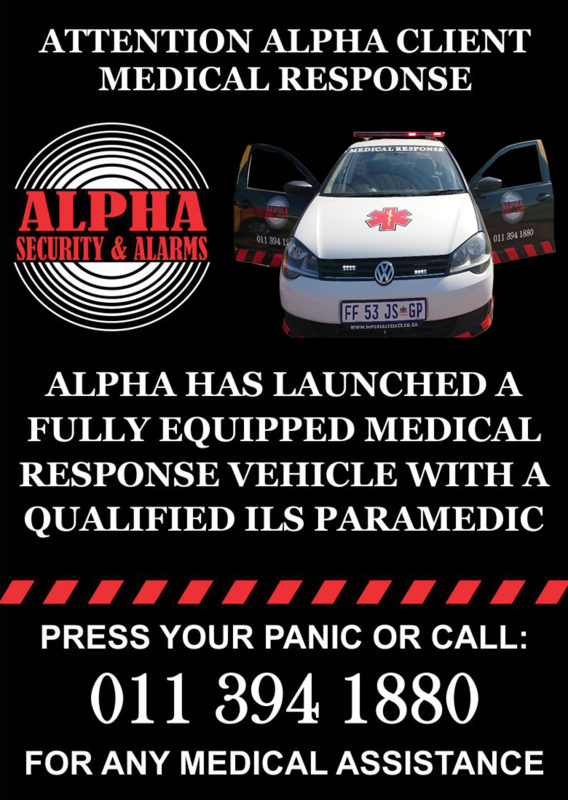 Alpha Security & Alarms has always been a leader in the security Industry in Kempton Park, During the past 30 years we have changed with the times and crimes, We always listen to our clients and look to improve our services to the community. This year (2018) we teamed up with Formel Security Group (FEMS) to bring the community a medical response vehicle. This vehicle will be deployed to assist the alpha clients as well as the community with any medical emergency. with a ambulance service to support the vehicle. Please feel free to contact our Control Centre 011 394 1880 for medical emergencies in Kempton Park, Benoni, Boksburg & Edenvale.